Access each phase of your project (discovery, preclinical, clinical, etc.) 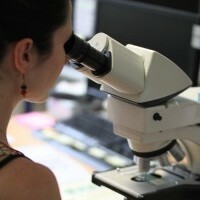 with the most appropriate expertise in histopathology, thanks to a network of experts with previously qualified skills. The interpretation of histological slides requires hiring experts with skills specific to very specialized domains: evaluation of the toxicity of a compound, experimental pathology, clinical studies, work on medical devices, cosmetic and dermatological efficacy tests, etc. Histalim has therefore established a European network of specialists spread over more than 5 countries (Germany, Belgium, Switzerland, Canada, France, etc. ).